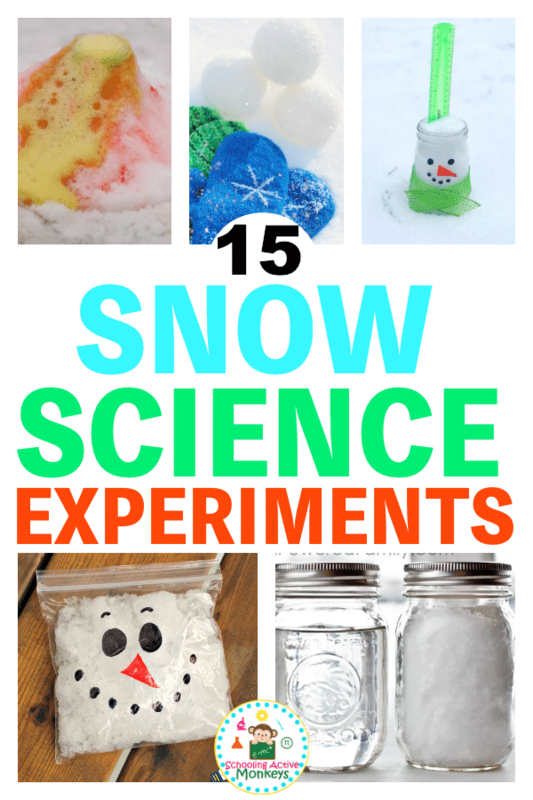 Snow Science for Kids- 15 Fun Snow Experiments! Do you live in an area where snow falls? 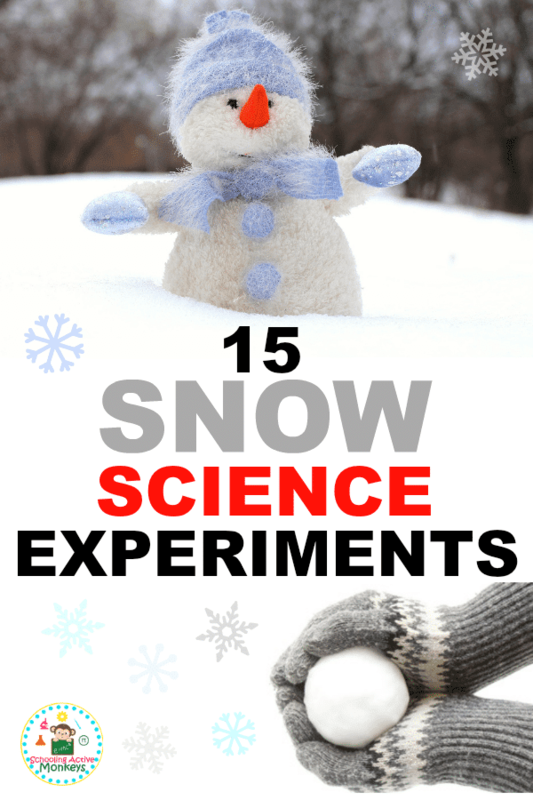 Although we live in Texas, we ocassionally get enough snow to try some of these snow experiments (but if you don’t have snow, try these snow science experiments you can do without snow). Snow science for kids is a fun way to learn about the science of snow, and to learn a lot more STEM thinking that helps children in elementary school learn to think like a scientist. 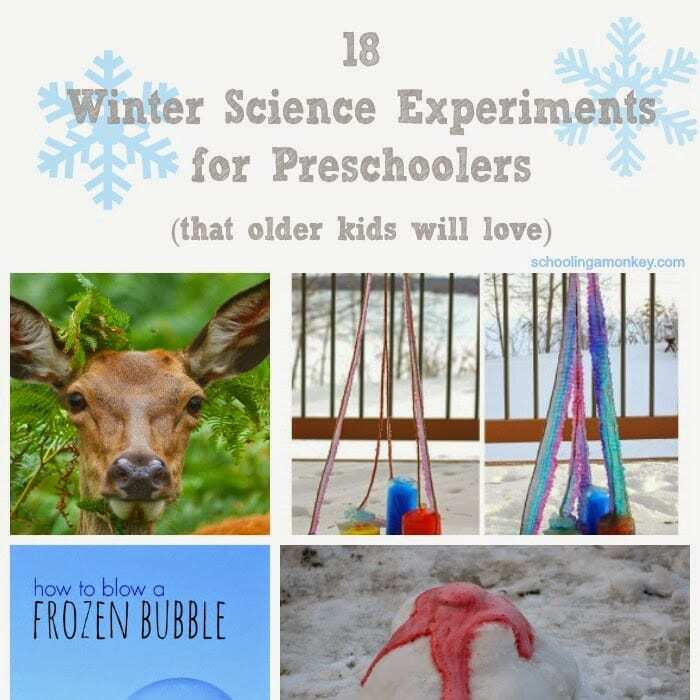 These snow experiments make the perfect addition to winter STEM activities. 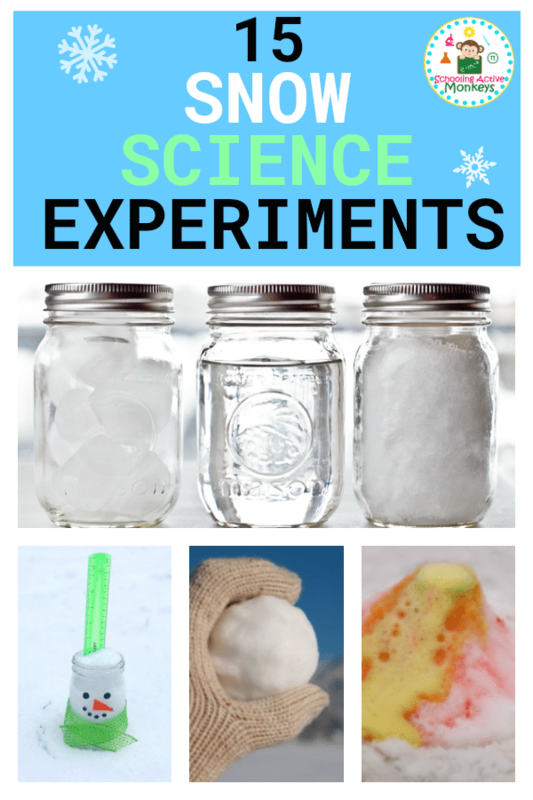 Kids will have a blast doing these snow science for kids experiments! 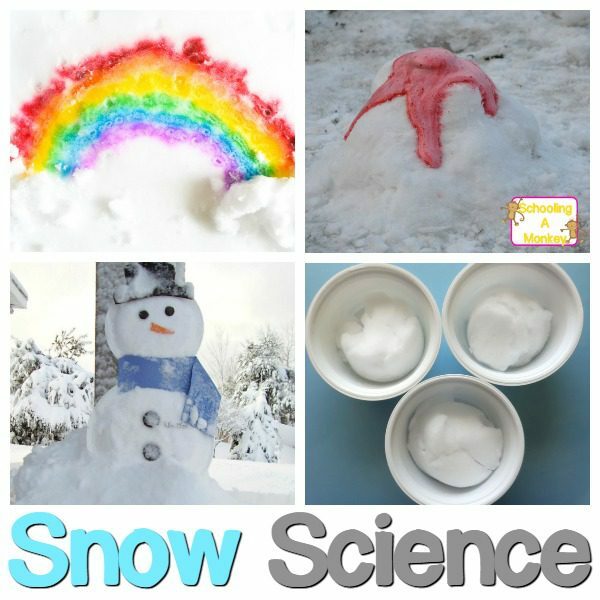 Use the science worksheet below as you complete your snow science for kids activities! 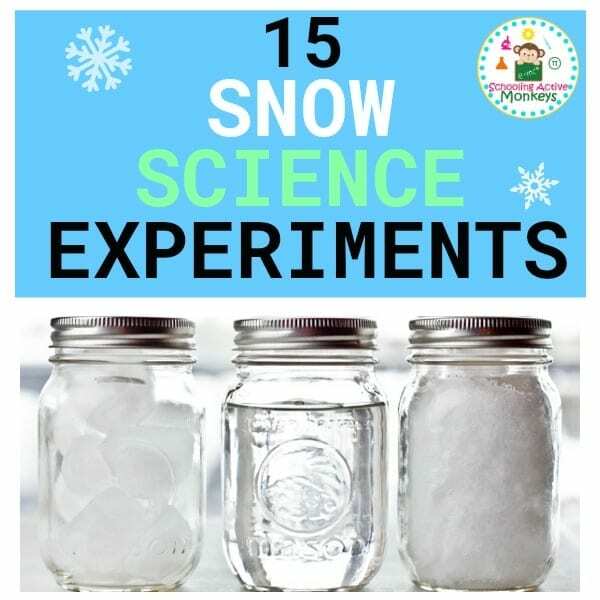 With this fun experiment, kids will learn how to measure and calculate the the amount of water in a jar of snow. With just a few items and a little wait time, this experiment shows kids how to make an educated guess (predict) the outcome based on prior knowledge. Make a baggy full of snow and learn how to make it expand with this simple experiment. Kids will be fascinated by how long it takes to expand and what happens at full expansion. Kids learn how to build a snow volcano and make it erupt using simple ingredients. They will learn the science behind the eruption and have fun watching it as it produces colorful effects based on their food coloring of choice. Use a magnifying glass to examine the intricacies of real snowflakes. Catch the snowflakes and work fast! Learn states of matter, density and volume and melting properties with this fun and creative activity turned experiment. This little experiment helps generate some understanding about chemistry and molecular structure. Watch as the substances “magically” melt. Using ratios, measure the density and temperature of snow. The light from the table is excellent for enhancing the features and properties of snow, allowing kids to see what they are exploring in a whole new way. A hands-on experiment in how to create a snowflake from a hexagon shape. Try this observational experiment on how color travels through snow. Drip food colors into different parts of snow and then mix snow of different colors. In this snow STEM experiment, fake snow recipes are tested to determine the most snow-like recipe so kids can experience snow all year long. Learn the basics of simple architecture and temperature issues by building an igloo out of real snow. Kids can help gather the ingredients to make this delicious treat and will learn to work quickly before the snow melts! Using extreme weather temperatures, you can actually make it snow. Learn about the Mpemba Effect and how and why it kicks in to produce snowflakes. Caution: to be done only with appropriate protection in place due to extreme temperatures. Ever wondered if that white fluffy stuff called snow sinks or floats in water? 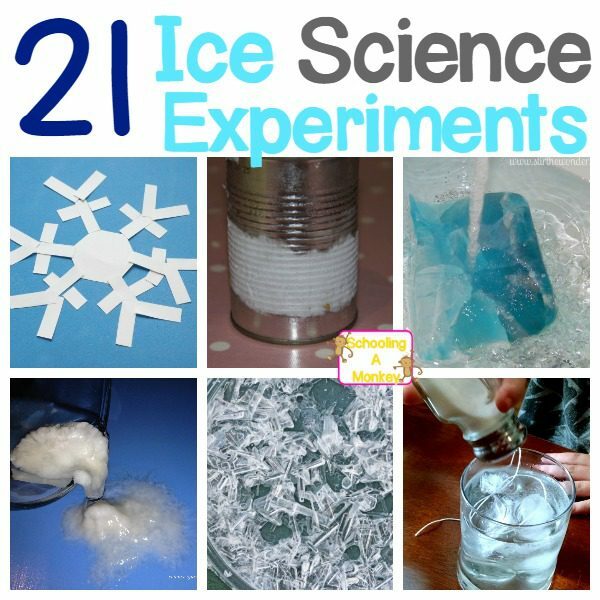 Running this experiments helps kids learn about various properties of snow, ice and water as well as temperature variants. Can even extend this experiment into oil rather than water. « How to Make a Magnifying Glass- from ICE!